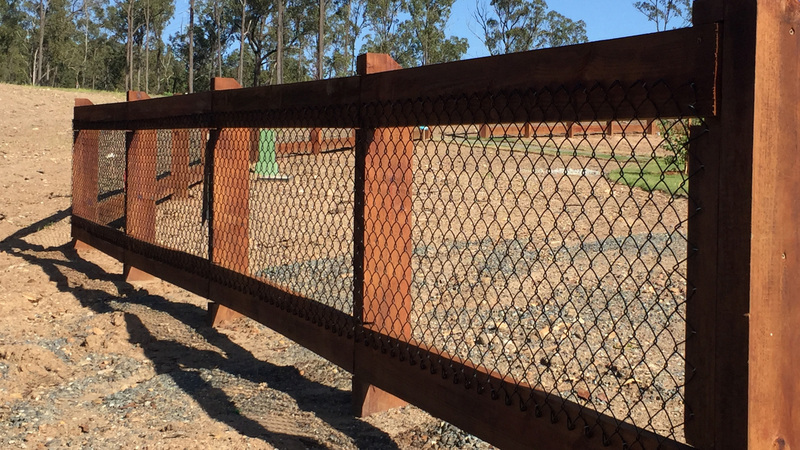 Do you live on acreage in Brisbane’s surrounding regions and require fencing that doesn’t cost the earth? Our range includes secure barb wire fencing, chainwire and weldmesh. Our stock of posts, wires, fittings and prefabricated farm gates means that we are able to offer a competitive supply and install price. Follow tradition but with a modern twist and install Barb Wire Rural Fencing with steel posts. Guaranteed to last without the prospect of damage from fire and white ants, FenceCo can help you install a bespoke rural fence. We stock high tensile double strand 1.57mm Galvanised Barb Wire and on application can supply 1.57mm or 1.80mm double strand Heavy Galvanised Barb Wire. We can also supply Iowa Pattern 2.50mm double strand Galvanised or Heavy Galvanised Barb Wire. Our barbwire residential fencing have a wide range of star pickets from 600mm long to 2400mm long in Black finish. Hot Dipped Galvanised Star Pickets are available on request. We stock posts, wires, fittings and prefabricated gates.